I am not sure how rare my condition is, but I am someone who loves reading/watching/hearing reviews. Even when they’re about something I have no actual interest in. For instance, I have spent more time reading about the Twilight phenomenon and watching the Honest Trailers, than I ever will spend watching the movies or reading the books. There is something appealing to me about analyzing culture (be it of the ‘pop’ or ‘high’ variety) and picking apart what makes something work or fail. It’s also what makes me write reviews myself. Though this may surprise and shock, I am not making any money on this blog, it’s mainly for sh*ts and giggles. And maybe worldwide fame. But how much does someone else’s opinion matter, as there is no accounting for taste? Well, ultimately the only way to be certain if you would like something or not is to experience it yourself. The problem is that there is a LOT of entertainment out there and there is no way you can absorb all of it, past and present. To get the best out of your time investment, you’ll want to have the worst crap weeded out before you dive in. The distinction between good and great may generally be in the eye of the beholder, but the distinction between toxic waste and something worth your time is a fair bit more universal. And though there are rumored behind-the-scenes shenanigans going on at sites that group together reviews – sites like Metacritic, which covers tv, movies, video games and music – meaning you have to take the accumulated scores with a grain of salt, they do give you a good general idea about quality. And as you follow a certain reviewer you like, you will discover how his or her taste relates to yours and how you should interpret their opinion. 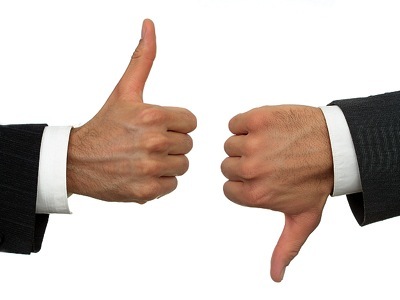 The best reviewers realize that their reviews should be a form of entertainment. Here are a few I have been following and enjoying. 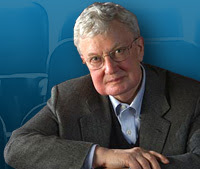 Roger Ebert - Though it’s fun to root for an underdog, sometimes there’s a reason someone is at the top of the heap. Though I don’t always agree with his ultimate judgement, he writes about movies thoughtfully and passionately and doesn’t forget to entertain. His reviews can be found online and collected in books, either by year or by rating. Though he refrains from cheap shots, occasionally he does rip a deserving movie apart and the collections of those kind of reviews will likely have you smiling the most. 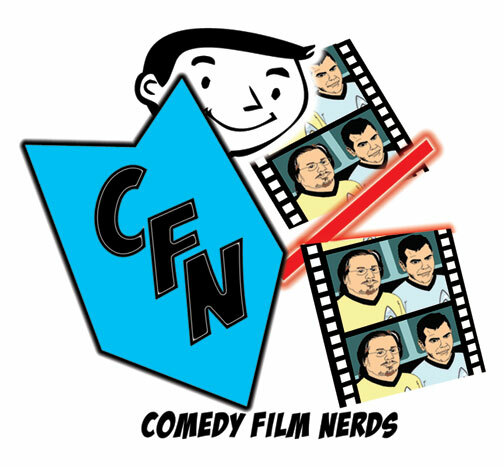 Comedy Film Nerds - This is a podcast hosted by two stand-up comedians: Graham Elwood and Chris Mancini. They talk about upcoming movies and review new ones currently in the theater or premiering on BluRay or DVD. Generally there is a guest from either the movie industry or the comedy circuit. Breaks in the regular podcasting schedule are covered by less topical shows that discuss a movie genre or contain interviews with someone in showbiz. The banter is easy-going and funny, as you’d expect from two stand-ups, and it’s a great way for movie buffs to get informed while commuting, working out or otherwise multi-tasking. Other good sources for movie reviews: The Internet Movie Database, Rotten Tomatoes, Rolling Stones’ Peter Travers, Catherine Reitman, MovieBob and DVD Verdict. 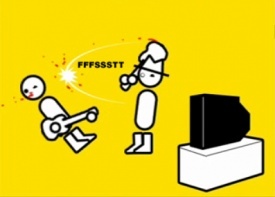 Zero Punctuation - It’s not often that a reviewer spawns imitators, but Yahtzee Croshaw (not actually his birth-name, as you may guess) has managed to do so. His reviews of video games are animated videos that run around the five minute mark. Against a bright yellow backdrop, simple black-and-white characters illustrate (or humorously add to) Yahtzee’s breathlessly read, sardonic opinions. 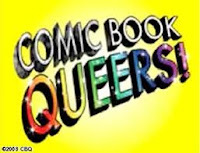 These tend to be blunt and contain a creative collection of (sometimes self-made) swear words. Unlike in ‘normal’ reviews of games, there are no screenshots or videos of gameplay. A picture of the cover will pop up somewhere in the video and is likely to get savaged in one way or another. The reviews are impressionistic and more free-form than you’d get from a site like Gamespot or IGN. Assuming you’re on board with his brand of humor, you may find yourself binging on his videos at first and though the novelty wears off a bit, the charm remains. He posts a new review (almost) every week. The Angry Joe Show - A clearly very enthusiastic gamer, Joe likes to get in-depth with his video reviews, which often run longer than twenty minutes. Standing in front of a related backdrop and aided by some nifty computer animations, he passionately describes his experiences. Unlike Yahtzee, he does show actual gameplay video, so you get a clear idea of the look of a game. There may also be dressing up and there may be little skits, which are sometimes funny and sometimes slightly off the mark. But as he is very articulate and engaging, the occasional joke falling flat isn’t a big deal. The Dice Tower - Tom Vasel is a board game fanatic. 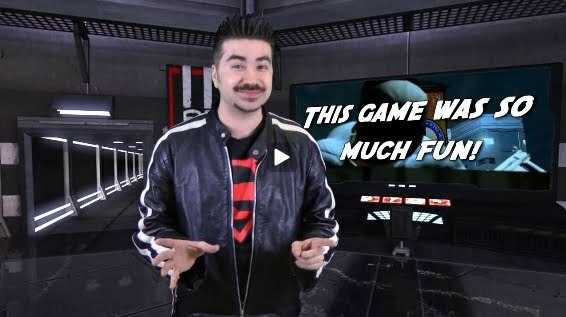 His video reviews show the components of a game, give an overview of the rules and conclude with his opinion on what about the game in question works and what doesn’t. His videos are very family friendly. He apparently comes from a religious background and was even a pastor, which as a gay guy makes me slightly queasy about his non-board game related opinions. But I am just making assumptions as the reviews don’t stray at all from the topic at hand. The videos may occasionally co-star one of his six (I think) daughters. He’s a likeable guy and the leading reviewer in this field. There is also a podcast, though I haven’t listened to it. Mind you, the stuff I mention here is a fairly limited selection of what I have stumbled upon. I have skipped television and music entirely as I tend to through Metacritic to find reviews on these topics. I hope you will enjoy some of these reviewers – and hope you will still be reading my reviews as well, of course. Please feed my ego by following this blog through Twitter, to get notified whenever I post a review here.